After Cricketer Dinesh Karthik tied the knot in August it is now time for wedding bells for indian spinner Harbhajan Singh . Geeta Basra chose Archana Kochar to design her wedding outfits while Harbhajan singh wore Raghavendra Rathore creations. 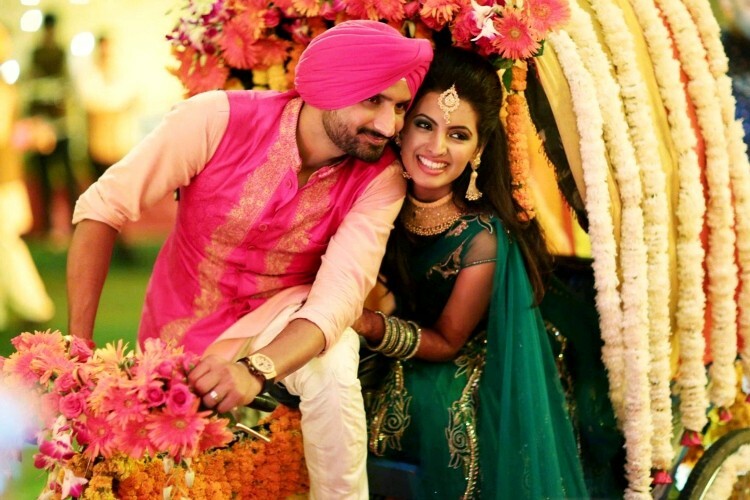 Sangeet : For the sangeet Geeta Basra was seen in a dark green lehenga with gold embroidery and gold jewelry while the groom Bhajji wore a white - pink kurta chudidaar with a pink bandhgala jacket. 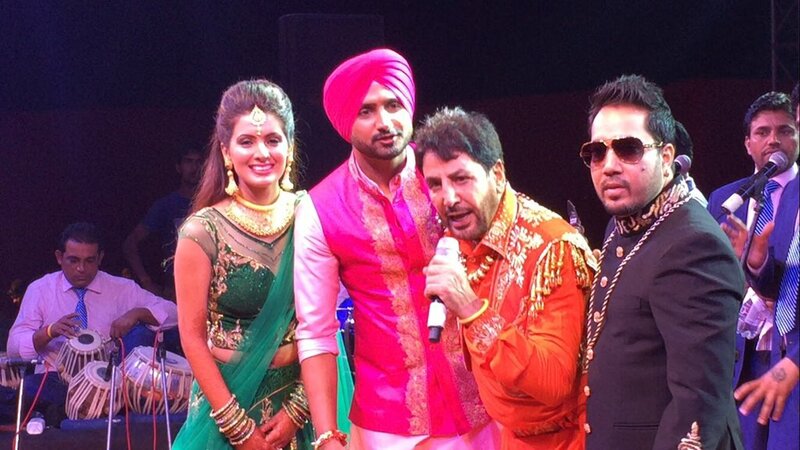 The sangeet was glitzy grand affair with Mika Singh performing. Mehendi ceremony :A vibrant Lemon yellow and pink lehenga was what Geeta wore for her Mehendi . I love the addition of the Matha patti to the look and the Chand bali earrings fit in perfectly. Chuda Ceremony: Geeta graced her chuda ceremony in an orange ahimsa silk lehenga by Archana kochaar . Iam loving the subtle make up and jewellery here. The wedding: Decked in a traditional red lehenga with gold embellishments, uncut jewellery and bright red lips Geeta Basra made for beautiful bride. 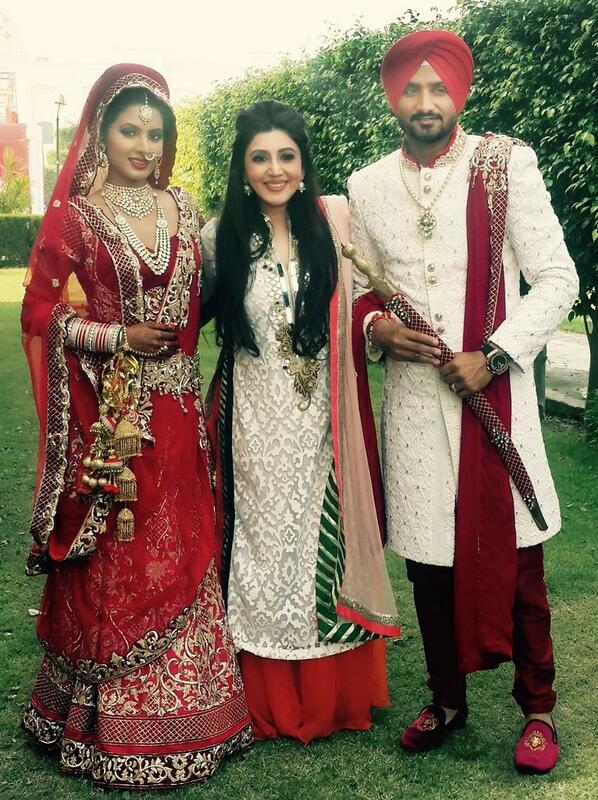 Harbhajan singh matched the bride well in a beige and red sherwani. 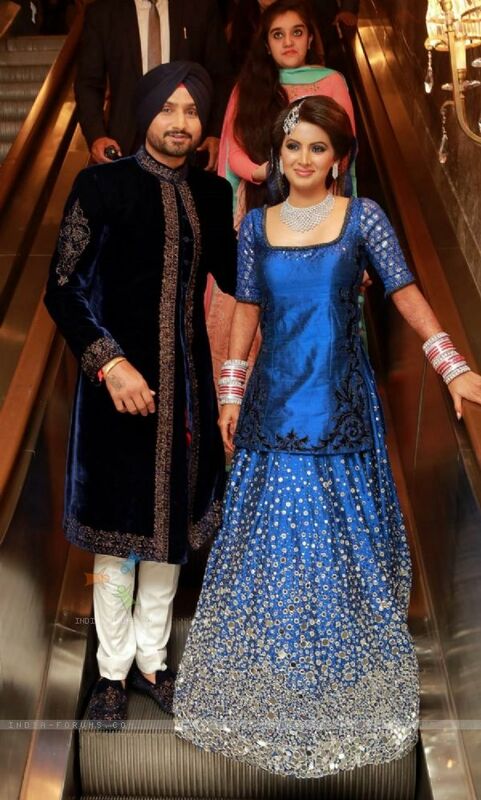 For the Wedding Reception Geeta basra switched things up a bit and wore a blue lehenga studded with swarkozi crystals and paired it up with a long choli . Diamond necklace, earrings and a jhoomar finished out her look. 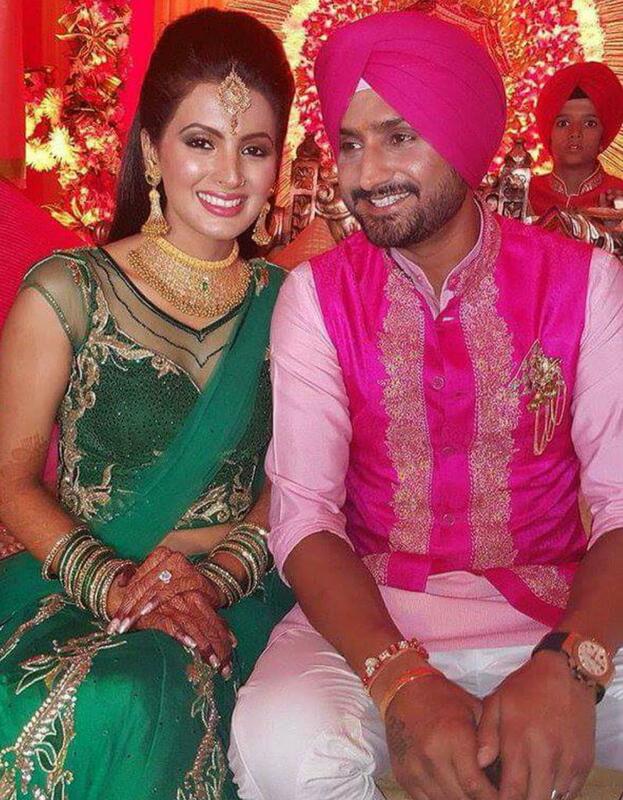 What do you think of Geeta Basra and Harbhajan singhs wedding style? Which outfit do you like best? Nivea Lip Butter In Raspberry Rose Review .